How did you come up with the idea of starting Edusports? 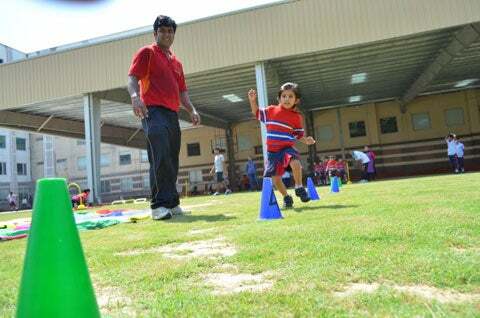 EduSports journey started from a very casual remark from a friend of mine that his 6 year old son was not engaging in enough physical activity and was getting hooked to TV and computers. He observed that there was hardly any healthy social avenue for his son to mingle with children outside the school. It became clear to me that parents want their children to play and stay fit and healthy, but there are not enough opportunities for children to have a fun experience around sports. Hence, after trying various ideas on a direct B2C model, I realised that schools might be the right partners for helping children experience the magic of sport. Kindly highlight aims and objectives of your organization. Our main aim is to get children to play! EduSports focuses on building a sustainable and scalable model for getting children to play by helping schools deliver sports as an integral part of every child’s education. We use structured physical activity and sports as a pedagogical tool for developing mental skills, behavioural skills and physical conditioning in children with periodic assessments. What challenges did you faces in spreading awareness and convincing schools or parents about this program? In 2009, out of the first 100 schools we met, almost 90 didn’t seem convinced by our idea. We were told that – sports are not important; parents only care about Maths and Science, etc. At the same time, schools didn’t see enough value in the content-tech platform model, which we had as the core product of EduSports. They wanted us to ensure the delivery of the program as well. This meant recruiting and training of PE teachers, something we had never envisioned. Till date, availability of highly-skilled graduates from a Sports/PE background is the biggest challenge to scaling-up. After the initial hiccups, when the EduSports programme gathered momentum across the country, it brought with it a different set of challenges, majority of which were related to scaling the service delivery model in remote locations. The entire operations team had to be prepared to service tier 2 & 3 city and we required skilled manpower to execute the programme on ground. Thankfully, we had the reporting platform in place, which helped us track the programme delivery in remote places. Today, EduSports is present in more than 100 cities in the country and its operations, hiring and training teams can help set up a school with a minimal lead time. 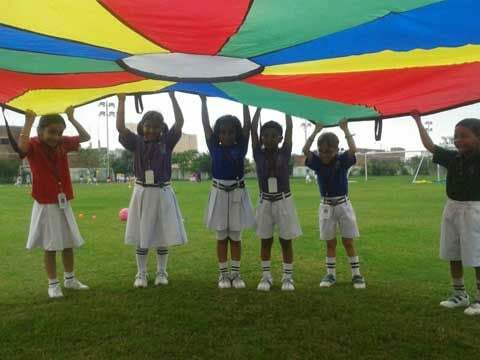 EduSports has helped define the physical education industry in India. Highlight the current scenario of sports education in India. And why there is a need for outsourcing of sports in India? The ‘Sports Education’ industry is at a very interesting stage. The early school adopters have embraced this concept of working with a third party for integrating sports into the education process. The industry is now moving to an era of increased focus on systems, processes and technology that can help scale a service business. And therefore, the team that is behind the start-up will start to become the single most critical factor in determining the success of the business. Forward thinking schools want to implement a proven, integrated school sports system in their campuses and enhance the engagement of children, parents and teachers using play/sports. EduSports has created a best-in-class school sports platform that consists of – age-appropriate curriculum material and props, health and fitness assessments, program monitoring and evaluation and certified PE teacher ready to be integrated into the core school education system. According to you, how important is the sport education in overall development of a student? If you consider the goal of education to develop a child into a well-rounded adult, who can productively work with others in society, sports education is a critical goal. Through sports education, the child learns key life-skills like teamwork, discipline, hardwork, dealing with failure etc, which are critical for success in adult life as well as in handling the pressures of growing up. Sports education is not only about sports. Sports education is education. How is Edusports unique from others in the same sector? How do you see the growth scenario in this business stream in coming years? EduSports is the largest in the space of sports education with over 400 partner schools, more than 350,000 children in over 100 cities and 5 countries. Our main focus is towards getting children to play thus, developing a generation of healthier, fitter and smarter children. We believe our customer focus has helped us develop the right culture, product, systems, technology and processes that help our customers get higher value from their sports education investment. The EduSports business model is about schools outsourcing the school sports & PE programs to us. Schools integrate our program into their timetable and EduSports becomes a part of the overall educational experience that schools provide. Schools pay us on a per-child-per-month basis from the fees they collect from parents. The bottom 3 layers are common to all schools. The top layer services are optional. EduSports school sports/PE programme is the only source of revenue for the company. Hence, all the revenue is attributable to the innovation. 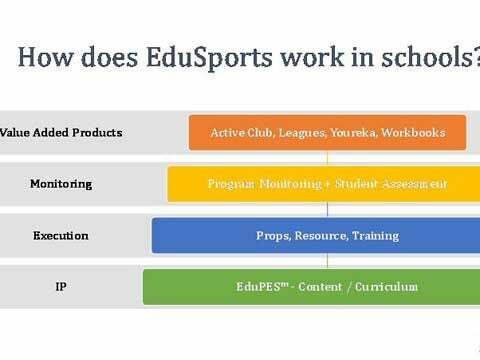 The fact that EduSports is able to offer benefits to schools, which are perceived by schools to be bigger than the sum of the individual components (like curriculum, coaches, props) is proof enough that the innovation is working and commercially attractive. Do you think video games & computers have taken the place of indoor/outdoor games? Yes, to a large extent. But the important question to ask is ‘Why?’ The reality is that adult society has not provided children with places to play. So, children are finding ways of having fun through video games. If you help children learn the right skills and the right fitness at the right age, they will enjoy the experience of play and sport. And they will, therefore, seek out more opportunities to play. We are trying to solve these problems by working with schools, using their facilities and delivering a program that is designed for limited time and limited space. How do you enhance the skills of student to produce the likes of Sachin and Dhoni? The program has age-appropriate curriculum with daily lesson plans. The lesson plans have multiple levels based on the skill and fitness level of children. As children develop, the curriculum scales with their growth and helps them achieve their potential. We believe that we will produce world class talent only if we have a larger population of children playing. In any case, our goal is to develop a generation of healthy and fit children through the magic of sports. If we succeed and if a million children enjoy play-and-play-more because they have learnt the right skills and fitness, we will see more of Sachin, Dhoni, Messi and Ronaldo coming out! 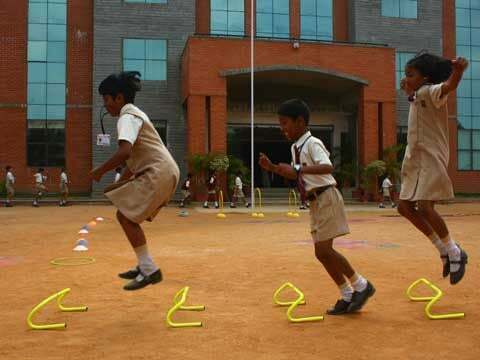 What are your expectations from the government to enhance sports education in India? Sports Education should be mandatory in government schools. i.e. there should be an age-appropriate curriculum, assessment of each child, trained resources, program monitoring and parent engagement. Sports grounds of government schools and government property should be made available for children to play. How do you see Edusports growing in years to come (future roadmap and growth plan)? 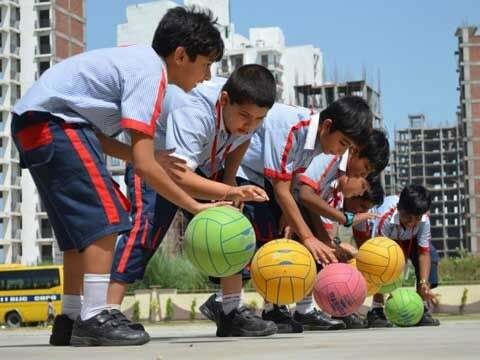 Considering that there are potentially 75,000+ private schools with a tuition fee of Rs 1,500 a month, EduSports expects the robust growth to continue. Any policy changes (CBSE, Government Interventions) will only add to the growth. EduSports aims to reach 1,000 schools and get a million kids to experience the magic of sport by 2017-18.